EU TO IMPOSE MASSIVE DAILY FINE ON FINLAND FOR FAILURE TO MEET ITS VEHICLE STANDARDS……. – The Tundra Tabloids……. EU TO IMPOSE MASSIVE DAILY FINE ON FINLAND FOR FAILURE TO MEET ITS VEHICLE STANDARDS……. 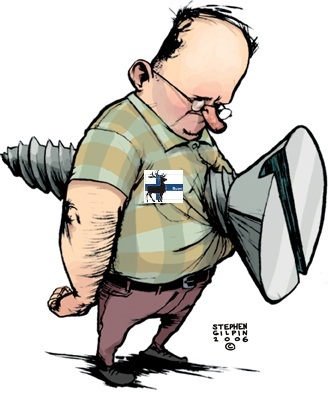 Hey, to all my fellow Finns out there that love the EU and who maintain the fiction that Finland is still a sovereign state and that our domestic parliament actually means something, please, stop on by and fill me in on how far the “sovereign state of Finland” has to bend over before it no longer is ….sovereign. The European Commission is bringing Finland before the EU court for failure to fully implement a directive aimed at promoting clean and energy-efficient vehicles. The deadline for the implementation of the directive ran out on December 4th 2010, but it has not yet been passed by the legislative body of the semi-autonomous Åland islands.The Commission wants the court to impose a daily fine of EUR 13,277.25 until such a time that all measures have been taken to fully implement the directive. The directive requires that all officials responsible for vehicle acquisitions should consider the energy and environmental impacts of the vehicles in question. Finland has never had such a conditional fine imposed on it before. Previous Post Previous Post DEMOCRATIC TUNISIA: ”KILL THE JEWS”……..
Next Post Next Post CIF WATCH: STAY TUNED FOR LATEST STUNT: AIR-FLOTILLA 2 ON APRIL 15TH……..